Dead Ladies Show number 14 brings you three out-and-out rebellious ladies who took their lives in their own hands and gave us great art: an East German writer who found recognition and then disapproval in the West, a painter who shaped both Surrealism and feminism, and one of the most influential blues musicians of all time. Presented by top Berlin writer ANNETT GRÖSCHNER, Australian author JESSICA MILLER, and your favourite regular, FLORIAN DUIJSENS. Co-host KATY DERBYSHIRE will be holding the reins and welcoming you all. 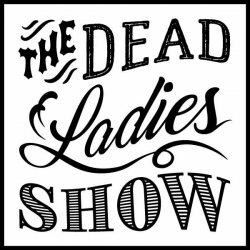 So throw caution to the wind, embrace your inner rebel, and raise a glass to a trio of fabulous females with us in the ACUD STUDIO on 21 November, 8pm. Our dead Berliner this time round is CHRISTA REINIG, born right here in 1926. A working-class lesbian writer, her remarkable life took her from Trümmerfrau to floristry to museum curating, all the while refusing to conform to authority. Having been banned from publishing her work in the GDR, she got her poems and stories into print in the West. In 1964, she went to West Germany to accept a literary award – and never went back. The 1970s saw her discovering feminism, finding a sometimes satirical voice to articulate women’s experiences and ways to write poetry about lesbian love. But – surprise! – the literary establishment wasn’t much into that. Christa Reinig is remembered for her “life-affirming sarcasm” and brash, Berlin-style charm. The painter and novelist LEONORA CARRINGTON was born in England but spent most of her adult life in Mexico. Even as a child, art offered her a way out of the constraints of her family’s expectations, and she was soon drawn to Surrealism – and the artist Max Ernst. Not one to settle for muse status, Carrington began painting and sculpting in the Surrealist style. She also wrote to deal with the blows life threw at her, from incarceration in an asylum to aging while female. In Mexico, she became a fêted political artist and helped begin the country’s Women’s Liberation movement. She received the ultimate posthumous honour in 2015, with a painting of hers made into a Google Doodle. 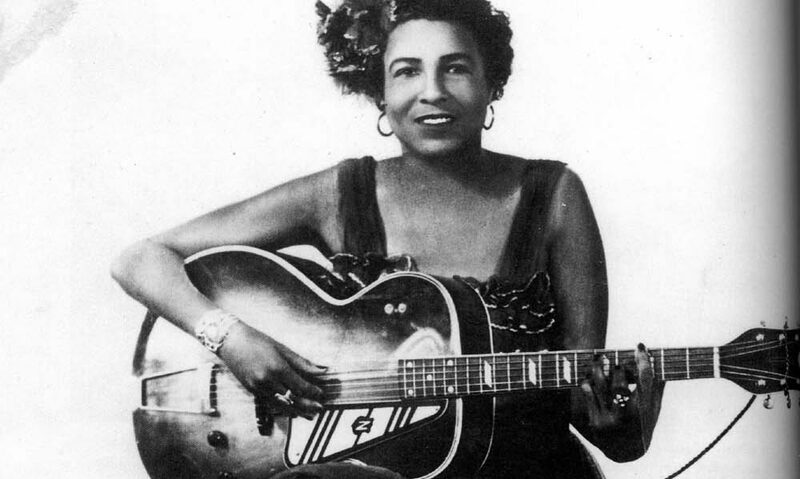 Tobacco-chewing blues singer MEMPHIS MINNIE ran away from home at the age of 13 and made a living off music from then on, from street performances supplemented by prostitution to hundreds of now classic recordings. It was said she never put her guitar down until she could no longer hold it in her hands, and she was known to use it as a weapon when required. Her songs were about the joys and hardships of everyday black life; according to the poet Langston Hughes, she played “music with so much in it folks remember, that sometimes it makes them holler out loud.” Largely forgotten for many years while white men covered her songs, she is now celebrated for her huge contribution to blues music and what came after.